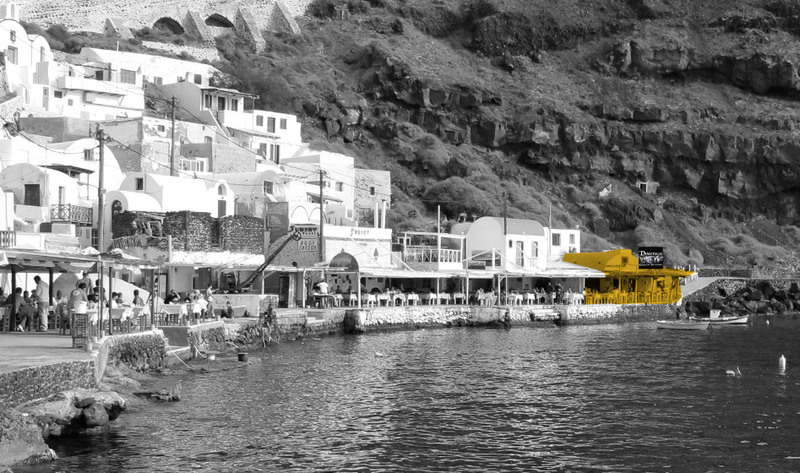 The Amoudi- Dimitris tavern is located in Ammoudi Bay, at the foot of the picturesque village of Oia. A natural small harbour used to be the place where local fisherman had their warehouses for keeping their boats and they were gathering after long days of fishing to have a bite and drink local wine. Today the bay of Ammoudi is one of the most beautiful spots in Santorini. 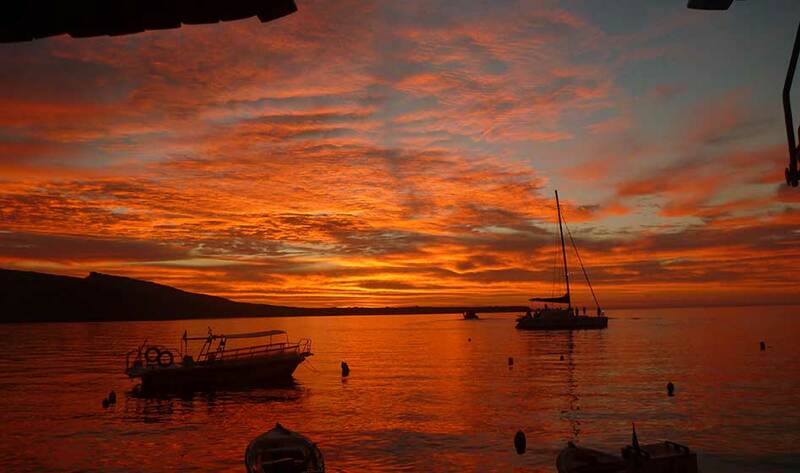 A must- visit wherever you are staying on the island. Follow the steps starting from Oia or come with your car to admire the unique setting of Ammoudi! 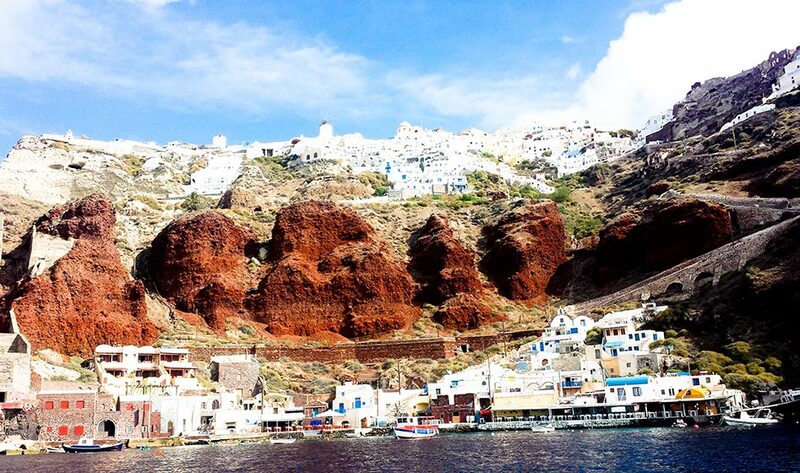 Red, imposing rocks, small carved houses, a few taverns and traditional boats waiting patiently for their owners, are creating one of the most magical corners of Santorini. Visitors embarking to the catamarans for their cruises and locals are making up a crowd that gives more colours to the Ammoudi's little harbour! Tip: Just behind the rock of Ammoudi is Agios Nikolaos. Dive into the crystal clear waters and return to Ammoudi for a delicious lunch at Ammoudi- Dimitris tavern.